” Law enforcement officials have boosted security at the Delaware home of Vice President Joe Biden after several gunshots rang out from a vehicle speeding by the property over the weekend. The vice president and his wife were not at their Wilmington home Saturday night when the shots were fired and there were no reports of injuries, authorities said Sunday. Biden’s office said the vice president and his wife, Jill Biden, were briefed Saturday night, as was President Barack Obama. Biden’s office referred all other questions to the Secret Service. The vice president was set to speak Monday morning in Wilmington at a Martin Luther King Jr. breakfast organized by a minority women’s group. “ In a survey of the “Craziest Politicians of 2014,” GQ had difficulty locating any Democrats. Seventeen out of 20 on the list were Republicans, with the only liberals being Texas Rep. Sheila Jackson Lee, Georgia Rep. Hank Johnson and America’s reigning nabob of nuttiness, Joe Biden. Trey Gowdy On Obama’s Impeachment Insurance: “Have You Met Joe Biden” ? ” First, host Bill O’Reilly asked Mr. Gowdy what he thought of the argument made by Judge Andrew Napolitano — that Mr. Obama’s proposed executive orders to grant amnesty to millions of illegals would rise to the level of an impeachable offense, The Daily Caller reported. Mr. Gowdy’s reply was both blunt and concise. ” Vice President Joe Biden wandered a little off course on a trip down memory lane today. 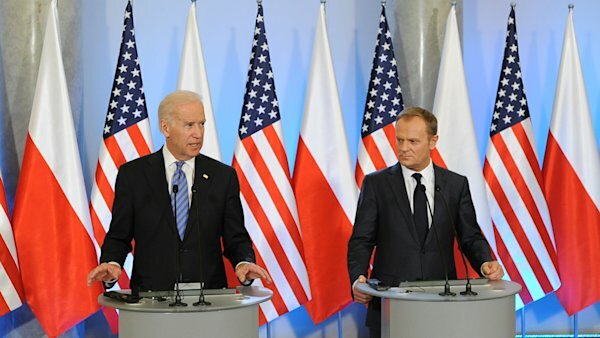 “ Fifteen years ago, I was honored, as the chairman of the Foreign Relations Committee, to lead the fight for Poland’s admission into NATO,” Biden said in Warsaw during a visit designed to reassure America’s Eastern European allies in the wake of Russia’s move to take control of Crimea. The only problem: Biden wasn’t chairman back then. It was Sen. Jesse Helms, a North Carolina Republican, who guided the committee and launched the floor debate on granting NATO accession to Poland, Hungary and the Czech Republic. Biden did lead minority Democrats in approving the treaty resolution, after having initially expressed doubts about the political viability of expanding NATO. (Robert) “Gates’ book, “Duty: Memoirs of a Secretary at War,” has sent a political shock wave through Washington, with its scathing critiques of Team Obama. Gates left little to the imagination in questioning Obama’s leadership style and commitment to the Afghanistan war. 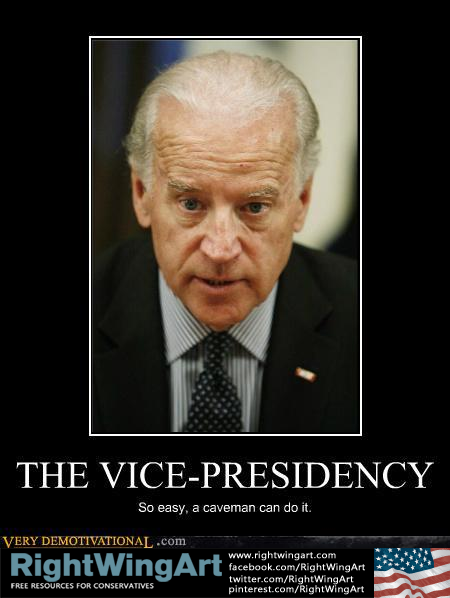 But he was particularly brutal in his assessment of Biden. Gates called Biden a man of “integrity” but also accused him of “poisoning the well” for military leadership. Just in case you’ve forgotten how brilliant a statesman “Crazy Uncle Joe” is , we’ve included a “best of” video at the top of the page . If the administration’s defense of Biden’s “statesmanship” demonstrates one thing it is living proof of the complete lack of judgement that inhabits 1600 Pennsylvania Avenue. ” Joe Biden made a midday lunch run Thursday to pick up sandwiches for himself and the president, but when it came time to pay the tab, the vice president came up short. What a cheapskate … or spendthrift , depending on your point of view . Those must be great sandwiches to cost $14 a piece . ” After securing a victory in Tuesday evening’s Boston mayoral election, Democratic mayor-elect Marty Walsh fielded congratulatory phone calls from President Obama and outgoing Mayor Thomas Menino. Missing from that list? Vice President Joe Biden. But here’s the catch: Biden did call Marty Walsh. Just not the Marty Walsh. You can’t make this stuff up . This gives us a happy excuse to run a video of “Crazy Uncle Joe” highlights . Just for laughs . ” Speaking to a crowd in support of Virginia Democrat Terry McAuliffe Monday, Joe Biden once again disparaged a conservative movement about which he knows precious little. In his effort to demonize McAuliffe’s Republican opponent in Tuesday’s gubernatorial race, Biden trashed the traditional values embodied by the Tea Party movement, implicitly describing those involved as uneducated rubes. Crazy Uncle Joe must not have gotten the memo , but then again we guess it’s hard to stay informed when you spend most of your time locked in the basement . On another note , what does it say about the dem’s confidence in their candidate if the feel the need to let Uncle Joe grab the mic ? He was certainly “without exaggeration” spreading the manure far and wide . Dear God, how much longer must we endure? The answer is pretty depressing: About 105 million seconds or 1.76 million minutes. Hours are not much better: 29,250. Days — 1,219 is a minor improvement, since we’re 58% through. 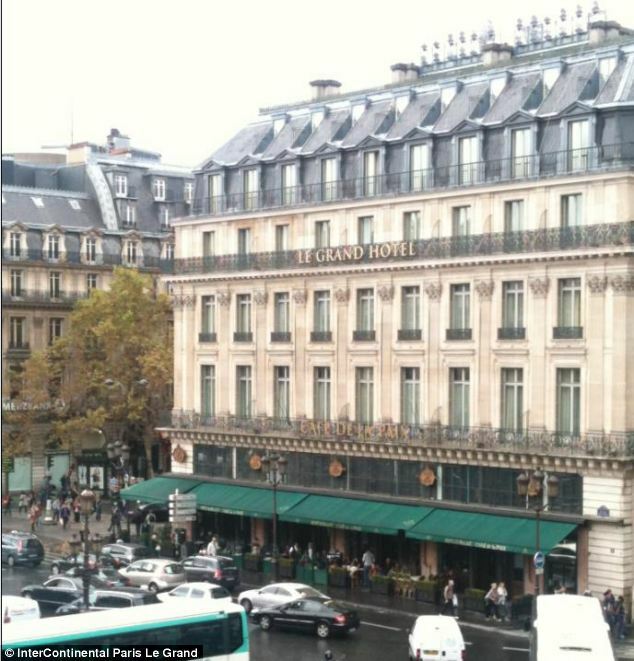 But 174 weeks feels least worst. Then, Rasmussen Reports came out this week with a new poll of 1,000 likely voters ahead of 2016. Hey, it’s never too early anymore. Then we read it. The results show that Vice President Joe “I Say I’m from Scranton Because Pennsylvania Has More Electoral Votes Than Delaware” Biden currently defeats just about every conceivable Republican contender. At least the folks from within that stale Washington GOP crowd. ” Okay, that’s not exactly true. It’s actually 1 minute and 25 seconds.